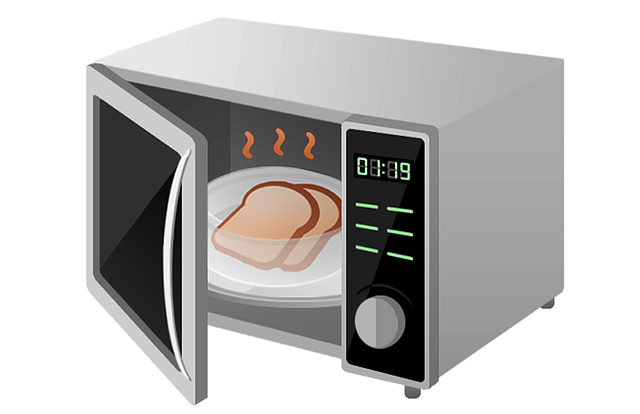 A microwave is famously known to warm food before eating or defrosting frozen foods. There are other features a microwave comes with like grilling, cooking which rice, fish, and vegetables. Our natural inclination is to heat up food and make cup noodles or popcorn. In this write-up, we will be talking about how a microwave works, tips for cooking with a microwave and food recipes to cook using a microwave. A microwave is an electric oven that uses radiated heat just like the heating process of the sun but compared to that of a convection toaster oven it makes use of convection heating and a fan for even heating. One peculiar feature to the microwave is that food with high moisture content (water) tend to heat fast and evenly. The secret to cooking perfectly in a microwave is, first make sure that there is moisture and secondly make sure that cooking is made evenly. For converting a simple recipe to a microwave fit recipe for cooking there are 3 things to put at the back of your mind. ▪Browning of food does not occur in the microwave so there is no need to put oil for browning. ▪Reduce the spices because the microwave brings out the taste of the food. 1.Cooking time differ for vegetables and meat so it is best to separate them when cooking and it is also advisable to cut vegetables and beef into smaller quantities in order to enable even cooking. 2. Arrange dishes in the microwave properly, don’t forget that the microwave rotates so be careful to arrange dishes evenly to prevent spills inside the microwave. 3. Pierce thick food before putting it in the microwave so cooking can be done evenly. Food like Hot dogs, potatoes, chicken e.tc. 4. Let the food stand a little bit before it is served because even the plate or dish used to cook it will be extremely hot. 5. Covering your food in the microwave is very important if you don’t want your food flying around, the microwave itself comes with a food cover so make good use of it. 6. As you cook check food at short intervals if can be stirred seize the opportunity to ensure even cooking. 7. Use proper glassware that is microwave friendly. under any circumstance please do not put an aluminum foil to cover your food or as a plate, in the microwave, the microwaves in the foil will bounce to the magnetron in the oven and shorten the lifespan of your microwave. It can also cause the foil to catch fire and make a big bang, trust me I did it as a kid and got in trouble. There are a lot of amazing recipes one can cook with a microwave you just have to try it who knows you might like it and it can be your go-to cooking method when you don’t have much energy to whip something up after a long day of work. This could also be sweet potato chips and what I love about this is that it doesn’t need deep frying in oil, you can just rub your spices and the potatoes should be cut very thin, so it is crispy and cooks well. Even a bread mug can be made in a microwave all you have to do is whip your mix together and put it in the microwave oven. All you need is to whip your fudge fix or get the ready made mix from the box add water into it and bake till its done. This is a very healthy way to cook vegetables because it requires less cooking time. All you need is your macaroni, favorite cheese, water and your spice. Homemade popcorn is simply the best and you can make as much as you want adding your own flavor. There are a whole lot of recipes that you can convert into a microwave friendly recipe all you just have to do is know how a microwave works and know the essential tips of cooking in a microwave. What’s the best thing that you have ever cooked in a microwave? Share your amazing ideas below. Kristine Bakare is a passionate food blogger who loves to share cooking and kitchen tips. She also owns 93treats – a growing food blog.